Next up we have Clue Records founder and Temple Management owner Scott Lewis, one of our regular tippers and a focal point in the northern music scene working with acts including Forever Cult, TRASH and Allusondrugs. Delve into his latest tips below. While Mondays were designed to be difficult, Dead Naked Hippies were designed to be class. 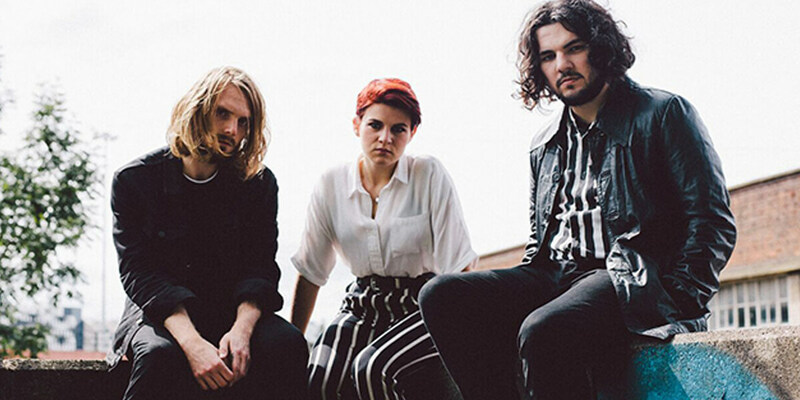 This three-piece, led by vocalist Lucy Jowett, blast out ace indie-post-punk. The band encapsulate the best bits of Savages, Yeah Yeah Yeahs and Siouxsie And The Banshees, delivering lyrics that are delivered with feeling and have genuine defiance. The first time I saw Vulgarians I really liked them. The second time I doubled that feeling and then some. Dark, intense, shaman-like & brutal but with enough light peaking through the cracks to find the right balance. One of the leading bands coming out of the current Hull music scene. Must be seen live. Something in Still Life’s lyrics really pulls at me. Akin to throwing back a cocktail made of fury, anger & upset, they’re emotional without being emo. Like they’ve come fresh off the back of a messy break up & all these feelings are battling for headspace. They’re delivered with genuine passion & rawness, accompanying fierce, driven guitars & drums that could kick you into next week. A rough gem. When I found out this lot were based in Leeds and not from the same school as Badbadnotgood I had to pick my jaw up off the floor. Sultry at points, direct in others and smooth throughout, they’re one of the most original and authentic acts I’ve heard in a long time. Live shows are a rarity from my understanding but when they do it, I’ll be there. The knack of making something sound effortlessly cool is rare. Not for Drahla. Drahla have done it with everything they’ve released so far. Mysterious, brooding lyrics wash over an angular, moody wall of indie. Drahla ooze that Sonic Youth cool, something you can’t quite put into words but something that drips from everything they do. Cannot wait to see what they do next.